If you’re a company car driver or business owner in need of funding new vehicles, our Business Drive Direct team is here to help. We have a specialist network and dedicated Contract Hire sales team expertly trained to understand your vehicle funding needs. 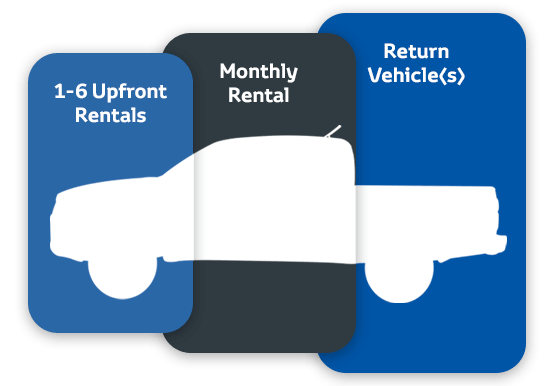 With your monthly rentals and optional maintenance, fix your monthly outgoings with no surprises. With a dedicated account manager on hand to assist, you won't be passed from department to department. With a class leading range of 17 generously equipped models, we can cater for just about any requirement. We can provide you with fixed cost maintenance, fleet management and funding solutions. 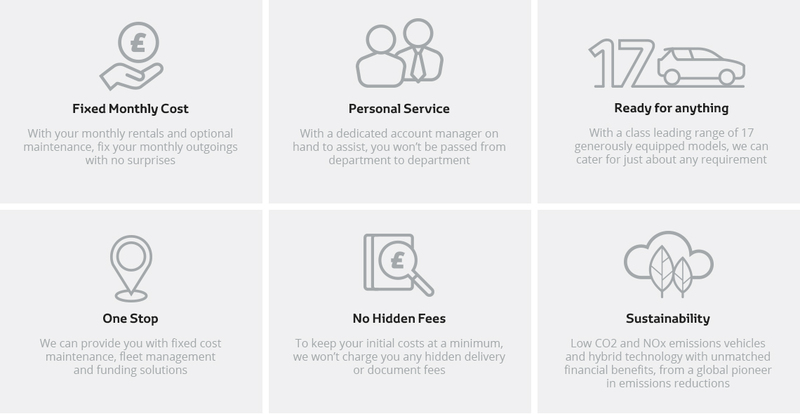 To keep your initial costs at a minimum, we won't charge you any hidden delivery or document fees. Low CO2 and NOx emissions vehicles and hybrid technology with unmatched financial benefits, from a global pioneer in emissions reductions. Enjoy the use of a vehicle without the financial risk of ownership. Simply give the vehicle back at the end of the term. To find out more, call us on 0800 470 0445, lines open Monday to Friday 8.30am – 5:30pm, calls to this number are not chargeable, or you can email us.